You rock, MWDTSA Q2 corporate sponsors! 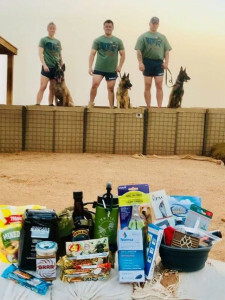 MWDTSA could not send quarterly care packages to military working dog teams without the help of generous corporate sponsors and donors. 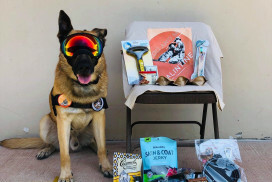 Our Q2 boxes, which arrived in time for Independence Day, contained goodies from the 29 organizations listed at the end of this post, many of them veteran-owned. Please visit their web sites and explore their products. 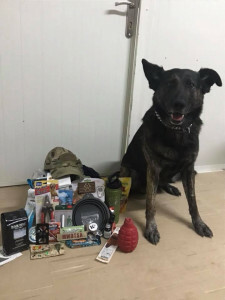 We also extend a heartfelt thanks to the dozens of individual donors and Amazon Wish List participants, whose contributions rounded out each box. We are grateful for your support! For more information on how you can become a MWDTSA corporate sponsor or donor, email president@mwdtsa.org. Thank you for your interest in our mission! Above: The 24 packing volunteers gather for a celebratory photo after assembling 191 boxes, February 11, 2018. My mom and I had never taken part in a MWDTSA packing day before volunteering to coordinate the Q1-2018 event. 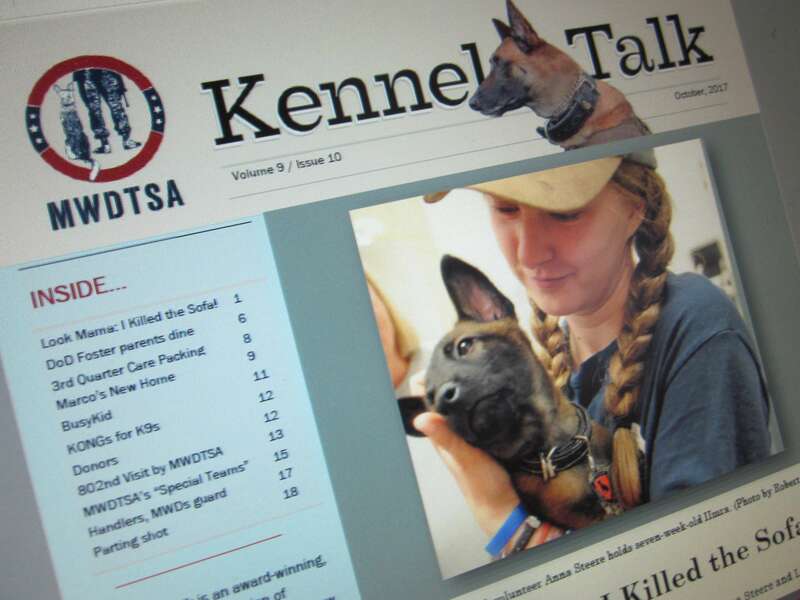 We had seen pictures and read others’ Kennel Talk articles, so we had some notion of the steps involved. But there’s a big difference between head knowledge and how the journey feels. It was deeply satisfying to watch a mail truck full of care packages drive off into the sunset. When we started planning 10 months ago, it felt as if we had plenty of time. 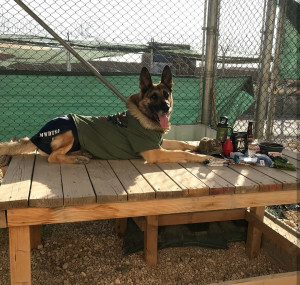 We reached out to potential donors with letters, emails, and phone calls, asking them if they’d join us in our mission of supporting military working dog teams deployed in conflict zones overseas. For every 10 contacts we made, a company stepped forward with a generous donation. Every one of these “yes” responses filled us with optimism that carried us through moments of doubt. We focused gratefully on the one “yes” instead of the nine who didn’t respond or said no. Over 70 individual and corporate donors stepped forward with enough donated products to fill 200 USPS 12” x 12” x 5” flat-rate boxes. 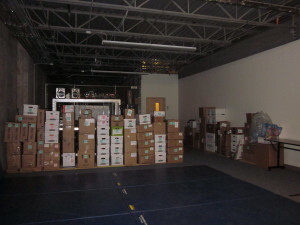 As products began arriving, we set aside space in our house to store the cartons. 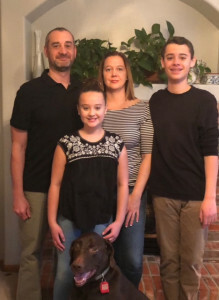 One column of boxes quickly became two, then three, then… Suddenly, we had 40 cases of dog toys, dog treats, and handler snacks stacked in the living room, hallway, and basement. And we knew these 40 cases would grow to nearly 100 by packing day. Two days before the Q1-2018 packing event, we had a total of 91 cartons stored at the Louisville (CO) Police Department (everything at the edge of the training mat, and all boxes along the right wall). Our house looked as if we had just moved in and hadn’t unpacked…or were preparing to move out. My dad likes order, and I could tell this growing accumulation of boxes was on his mind. The boxes even crept into my mom’s dreams, her subconscious pondering the unthinkable. What if there’s a flood? Fire. Robbery. Mice. Should we get extra insurance? As packing day grew closer, we started to think through the logistics of getting all these cartons to our packing location. How many trips would it take? That’s when we experienced one of many sweet surprises in this packing journey. Through happenstance, we learned the Louisville (CO) Police Department had recently used its training room to prepare holiday gifts for low-income families. So, we reached out to ask if they might be willing to let us pack in that space. They not only said yes; they also offered storage space for our growing mountain of boxes, starting nearly a month before our packing event. We were able to move everything out of our house and reclaim the living room (mostly). As we approached our February 11 packing event, it felt as if we had a thousand details and loose ends to consider. Count, re-count. Make checklists so we wouldn’t forget important tasks. Contact packing team members with time, location, and logistical information. Breathe deeply. Krystal Rineck (Store Manager, Chuck and Don’s, Longmont, Colorado) and MWDTSA volunteer Anna Steere prepare for arrival of the packing team. Krystal draws diagrams of the packing sequence for volunteers to use as a reference. Chuck & Don’s Pet Food and Supplies, Longmont, Colorado, volunteered their entire staff to help on packing day. They did this as a company team-building event. Store Manager Krystal Rineck and Manager Mark Saltzman arrived 1.5 hours early to help with set-up. This included arranging tables, deciding the packing sequence, and moving product into position. When the rest of the packers arrived, Krystal and Mark organized everyone. 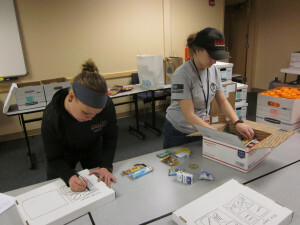 The group began assembling care packages at 3:00 p.m. and we finished 191 boxes before 5:00 p.m. It took us another 30 minutes to breakdown cartons for recycling. Packing these boxes was an amazing experience and a way to say thanks to MWD teams for the sacrifices they make to keep our nation safe. It was exhilarating to be part of this team effort, and we’re ready to sign up again! 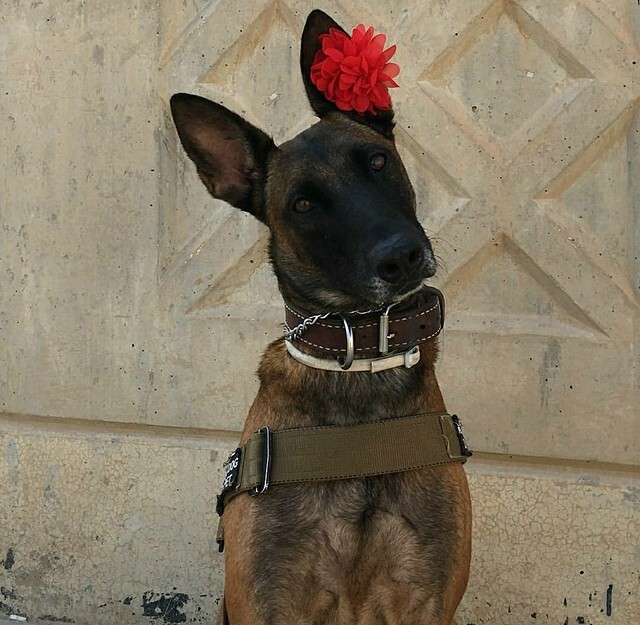 For more information on how you can support military working dog teams, visit https://mwdtsa.org/. Volunteer packers worked at “stations” along an “assembly line.” Participants added one or more products to each box, then passed the boxes to the next station. Three adults and two children from United States Postal Service helped at the end of our packing line, attaching customs forms and taking boxes directly to a mail truck. On a Sunday! For over six months, the kids at Align Orthodontics donated their prized wooden nickels to MWDTSA. The tally is in, and these Colorado kids rock! 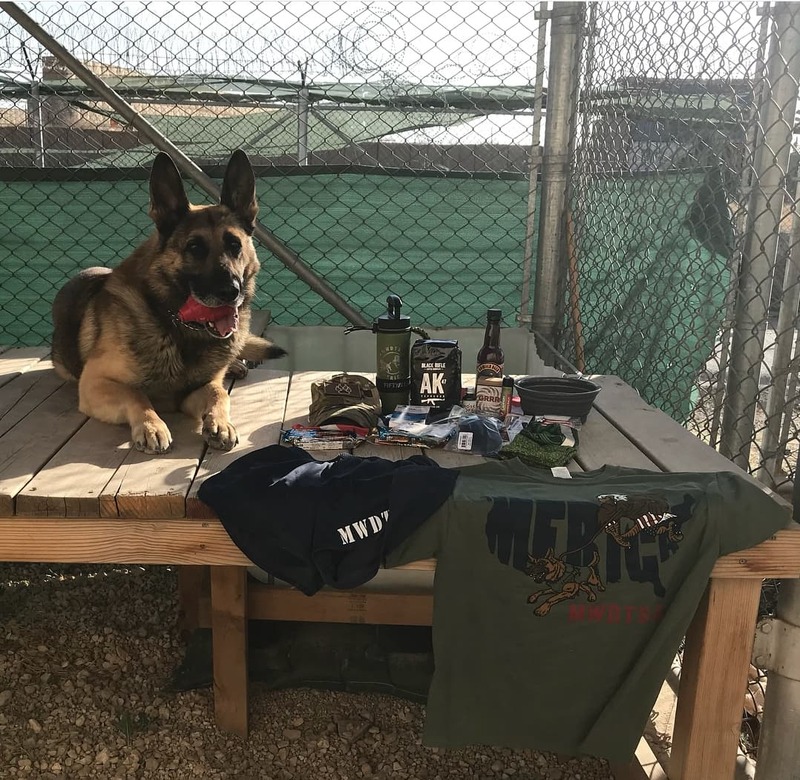 Their $926.50 contribution helped fund MWDTSA’s Q1-2018 care packages. 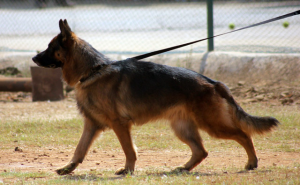 With this money, we purchased toothpaste for the dogs and Cocomel candies for the handlers. Wearing rubber bands, head gear or retainer as prescribed? Align’s wooden nickel program promotes good oral hygiene and compliance with orthodontic instructions. At each visit, patients earn nickels based on how well they’ve cared for their teeth and braces. With 20 nickels, patients can “shop” at an Align “store” that offers Lego sets, gift cards, and other coveted merchandise. Many patients, however, chose to deposit their nickels in an MWDTSA donation jar at the front desk. For each of the 1,853 wooden nickels contributed by patients, Align Orthodontics provided 50 cents toward our Q1 2018 care packages! To put the kids’ sacrifice in perspective, their nickels could have purchased 92 Lego sets at the Align store. 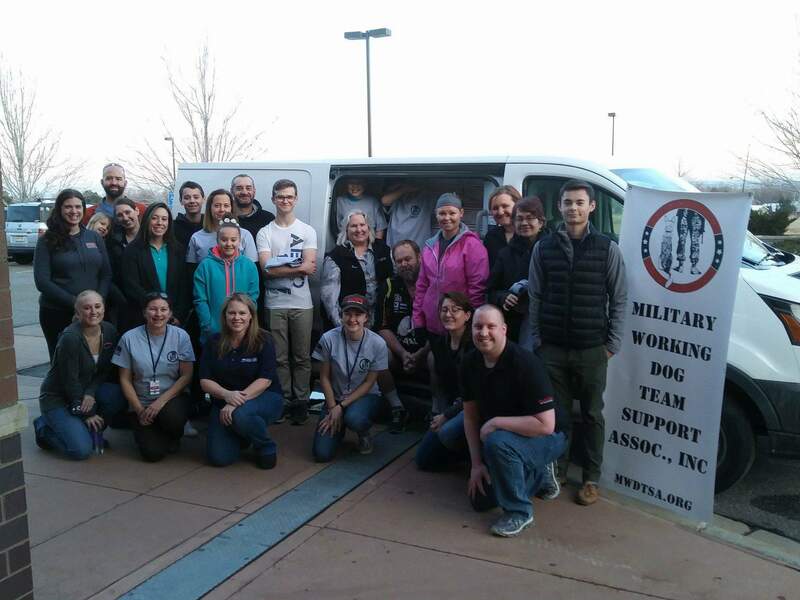 Additionally, a patient’s family stepped forward to volunteer countless hours to help MWDTSA with pre-packing activities. The Meltzer’s neatly folded 200 t-shirts and placed items that might leak into Ziploc bags. They and Align associate Megan Lentfer joined the packing team to assemble nearly 200 boxes on Sunday, February 11. After 6 years of flying, however, the dental desire returned. 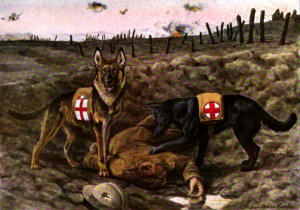 He decided to enter the Army Reserves as a Medical and Dental Officer so he could start dental school as a civilian. In this capacity, he was activated for Desert Storm. Altogether, he served in the military for 20.5 years before retiring. Dr. Colletti isn’t the only person at Align with military connections. Orthodontic Assistant Sylvia Cage’s daughter served four years and son-in-law served 20 years in the Air Force. 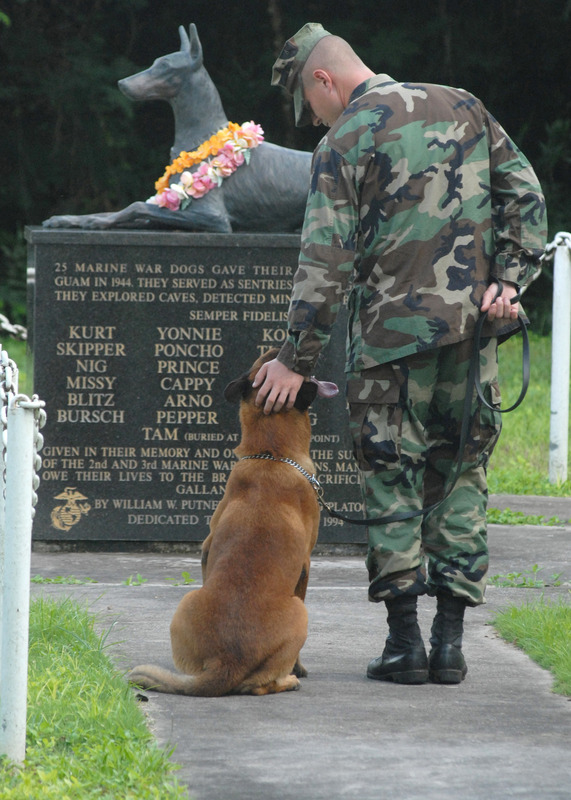 Megan Lentfer’s sister and brother-in-law are active duty Navy. Her cousin is an active duty Marine. Many thanks to Align Orthodontics for your enthusiastic support. It’s donors like you and your patients who make our quarterly care packages possible, and we really appreciate you! 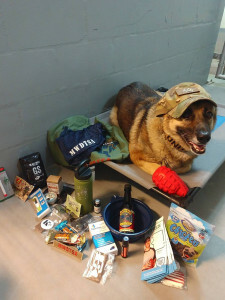 Is your group interested in raising money for MWDTSA care packages? 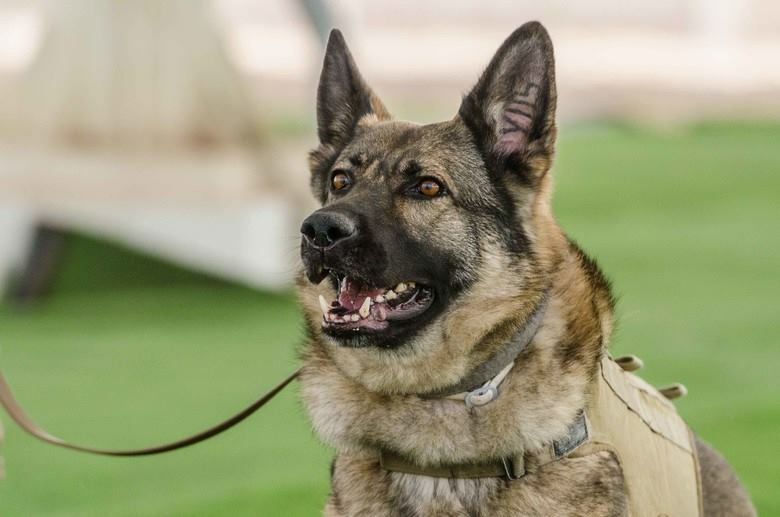 To learn more about MWDTSA’s needs, contact Nikki Rohrig at president@MWDTSA.org or visit https://mwdtsa.org/. Photo credit: Shelli Patty. 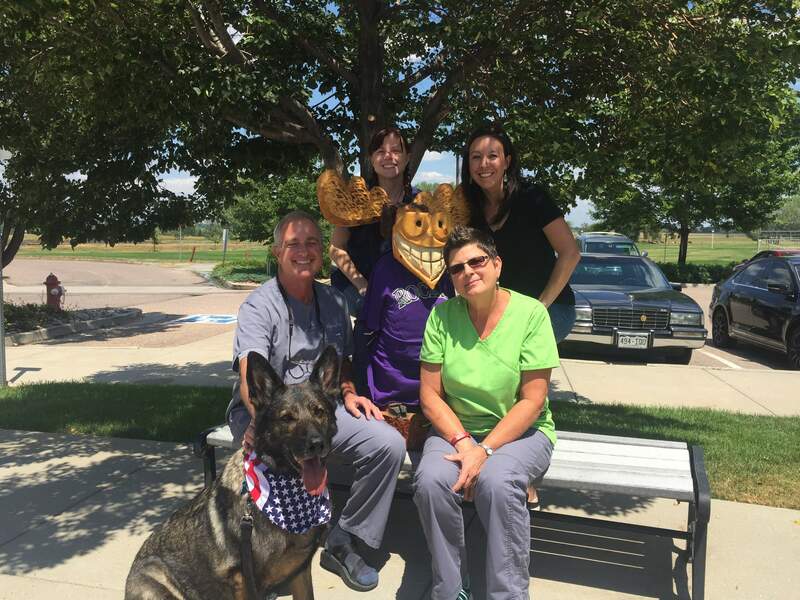 Align Orthodontics office staff with RMWD Falco. From left to right, bottom row: Dr. Laurence Colletti, moose mascot Justin Timbertooth, Sylvia Cage; top row: Amanda Evans, Megan Lentfer. Not pictured: Laurie Hoff. It’s packing week. 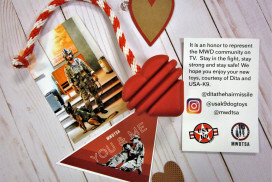 On Sunday, February 11, MWDTSA volunteers and donors will assemble almost 200 care packages. 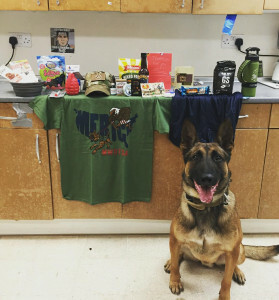 Each box will provide essentials and treats for U.S. military working dog teams in conflict zones around the world. 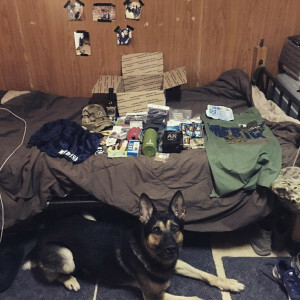 For each quarter, MWDTSA selects a packing coordinator and location. The extensive preparation process begins 10 or more months in advance of each mailing date. Identifies a theme for the quarter. Selects products to include in the care packages. Solicits donations from manufacturers, retailers, and veterinary clinics. Organizes fundraisers to collect products and postage. Identifies a venue for care package assembly. Delegates pre-pack activities such as sealing liquids in sandwich bags. Works with the local post office to arrange pickup of the finished boxes. Adrenaline flows in the days leading up to the care package assembly. Will products arrive in time? We double check quantities, food expiration dates, and more. Stay tuned for photos of our Q-1 assembly day. We feel honored to be able to support both ends of the leash with these boxes. 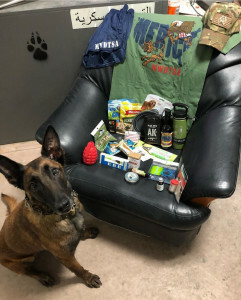 Visit https://mwdtsa.org/donate/ to learn how you can help with future care packages. We appreciate your support! 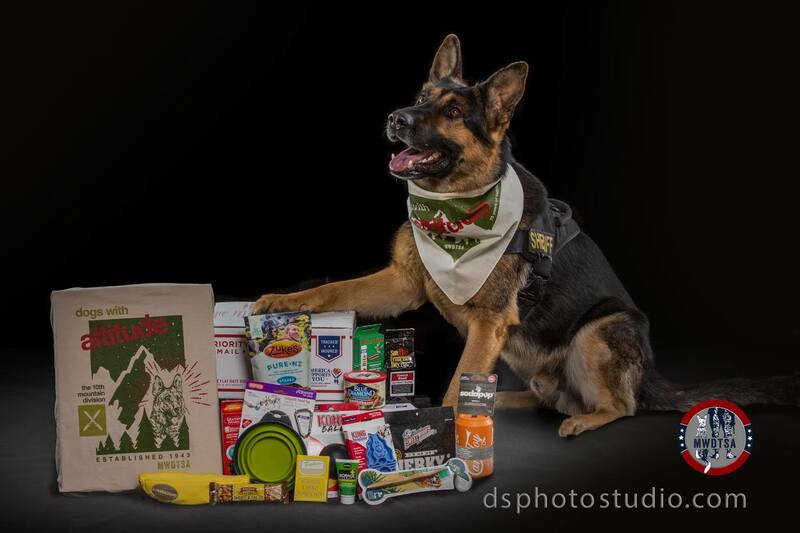 Many thanks to David Schlatter for his amazing photos of K-9 Kingston and MWDTSA’s Q1-2018 care package.